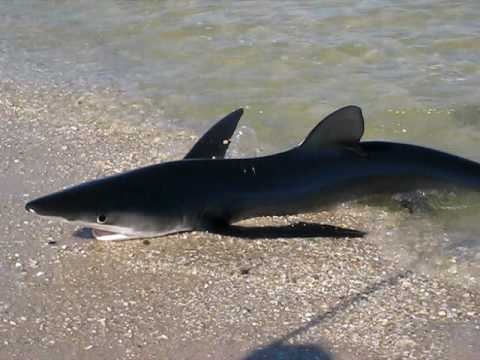 Ah, it’s summer time. And during the warmer months of the year, there are few things more relaxing than kicking back in an Adirondack chair and looking out on a beautiful lake. Well, no road trip or bug spray required! 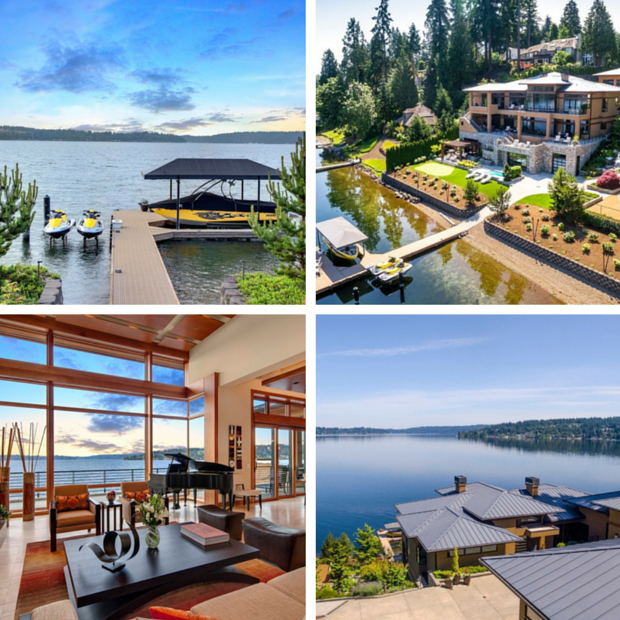 Here are 5 lavish lake homes that we want to dive into this summer. 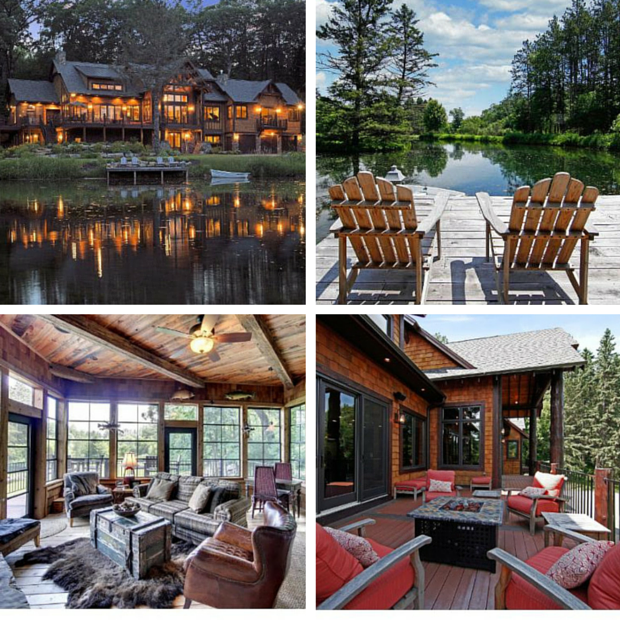 It would only be appropriate to kick things off in the state informally known as the “Land of 10,000 Lakes.” This stunning Minnesota home is located at the headwaters of Valley Creek. While we could while away the day on the lawn or back deck taking in the scenery, the interior is just as inviting with a home theater, gourmet kitchen and entertaining space galore. 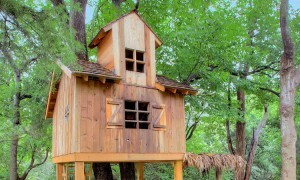 Interested in making this your year round retreat or summer escape? This Washington state home sits on the shores of the lake that carries the same name. As the second largest natural lake in “the Evergreen State,” Lake Washington is one of the most picturesque shoreline destinations we’ve ever seen. Designed to give the impression that the home is floating on water, this property takes “lake house” to a new level. With 167 feet of lakefront shore, a private dock for water toys like those jet skis and even a resistance pool if you prefer, this modern masterpiece has it all. 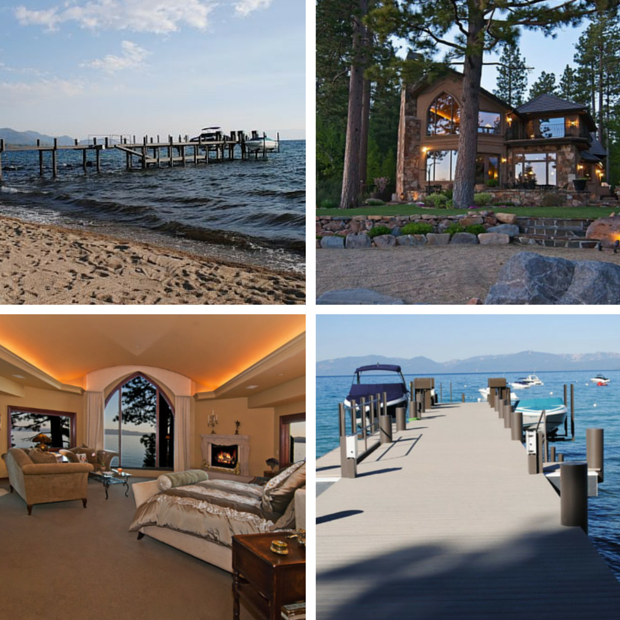 Mere steps from the shore of Lake Tahoe, this home looks out at Mt. Tallac from its very peaceful setting just off the discreet one lane street of Pine Cone Circle. Nearly level to the lake, this home is one of the very few lucky properties to have a brand new pier with boat lifts, as well as a semi-private sand beach. With views like this, you’ll never want to come inside, but lucky for you, entertaining flows seamlessly to the great Tahoe outdoors on to a wonderful paver patio that offers the perfect place to watch the sunset. This remarkable lake house is a boater’s dream with a covered dock that fits up to three boats. Coupled with a sandy beach and sweeping, enclosed stone patio makes this property live up to its address: Edgewater Drive. Views of the water from nearly every room in the house gives the illusion that there is no separation between indoor and outdoor living. And honestly, why should there be with views this spectacular? While only 25 minutes from Chicago, this lakefront estate feels worlds away from city living. 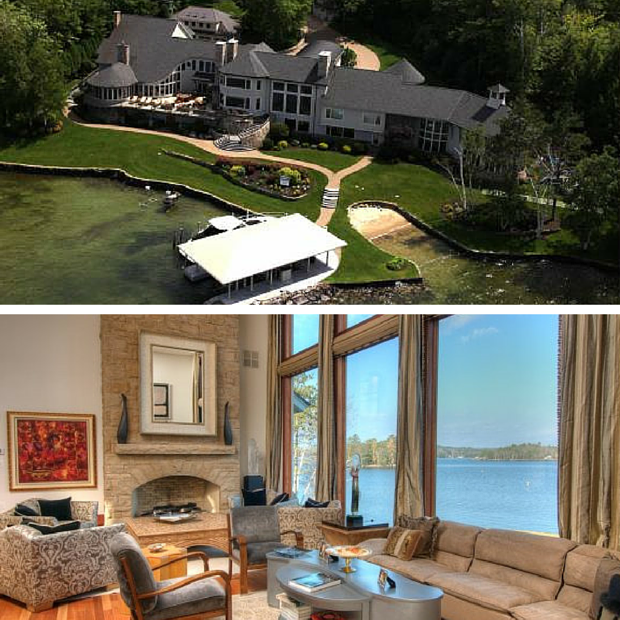 On the shore of Lake Michigan, this lake home has elegant details and dramatic lakefront views throughout virtually every room.